With an incredibly low starting price of $16,995, the Dodge Dart is affordable without skimping on style and efficiency. Its Honda competitor costs nearly $2,000 more! The Dodge Dart features a steel construction, underbody panels, and a laser-brazed roof design that keeps it performing efficiently. It was truly put together with aerodynamics at the forefront. An advanced sport-tuned suspension system and AUTOSTICK shift control ensure that you're also hugging the curves of the road and have a better handle at higher speeds. This sporty little vehicle helps make driving fun again. And, compared to the Civic's 36,000-mile Roadside Assistance plan, the Dart offers you an impressive 60 months and/or 100,000 miles. The Dodge Dart is a safe and beautiful choice for your family. You'll turn heads while driving an efficient and affordable vehicle. Come see one for yourself at Lone Star Chrysler Dodge Jeep Ram. 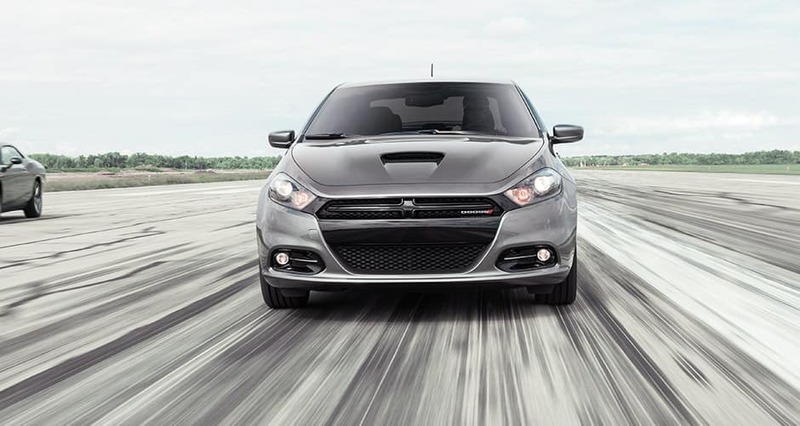 Contact us online today or call our friendly staff at 210-828-1515 during business hours to get behind the wheel of a Dodge Dart. At Lone Star Chrysler Dodge Jeep Ram, you won't be disappointed by our selection of new Darts and other great new and used Dodge cars for sale.